Glonass is the Russian Satellite Navigation System which is the counterpart to the US Global Positioning System, the European Galileo Satellite Constellation and the Chinese Beidou Satellite Navigation and Communication System. It is being used by the military as well as commercial customers. The system provides real time position and velocity determination at an accuracy that can be compared to that of GPS. Later, an effort the restore the satellite fleet was started after funds were made available to the Russian Space Agency. 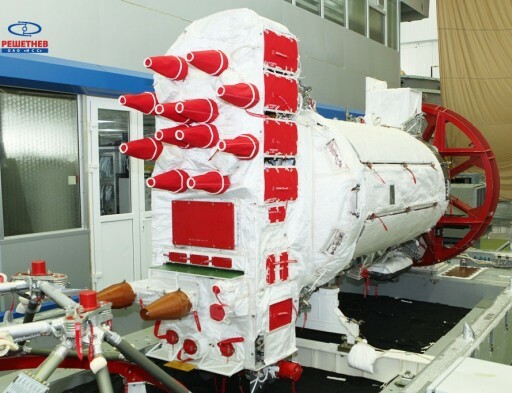 In 2011, the full constellation for global Glonass Coverage was restored and several launches per year are performed to maintain the constellation and introduce upgraded spacecraft such as Glonass-K2 that will be launched from 2014 to 2025. Glonass features three orbital planes with eight satellites evenly spaced in each plane plus at least one spare per plane. The satellites have an orbital period of 11 hours and 15 minutes. Orbiting at an inclination of 64.8 degrees allows Glonass to provide coverage to high latitudes which can be difficult with GPS that operates at a 55° inclination leading to lower passes for high-latitude areas. To be provided with position data, a receiver needs to be within range of four Glonass spacecraft. Three are used to determine the receiver’s location while the fourth is used to synchronize the clocks of the receiver and the three other spacecraft. Glonass satellites are being built by Reshetnev Information Satellite Systems (formerly NPO-PM). Glonass-M satellites have a design life of 7 years which is significantly higher than that of the previous generation of satellites. 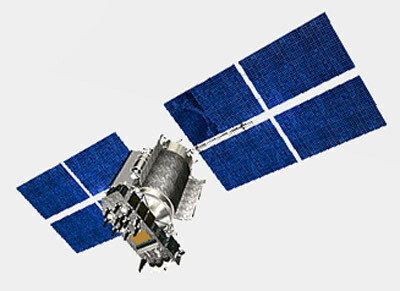 Each M satellite is about 2.4 by 3.7 meters in size with a solar array span of 7.2 meters. The two deployable solar arrays provide 1600 watts of electrical power. 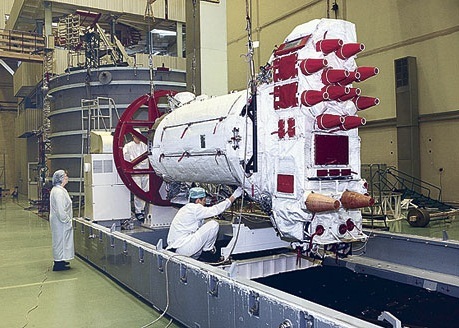 In total, the Glonass M satellite weighs about 1,500 Kilograms. 12 L-Band antennas are mounted on the satellite along with laser corner-tube reflectors that are used for ranging in order to determine the orbit of the vehicles. The heart of the satellite is a Caesium clock that provides the accurate timing reference needed to generate navigation data. The satellites are three-axis stabilized and use a thruster system for orbital maneuvers and in-plane management. The Glonass system provides an accuracy of 100 meters as part of the public segment and 10 to 20 meters for the military users. Time accuracy is under 1000 nanoseconds. The L2 navigation signals also use the FDMA technique transmitting at 1,246 MHz + n x 0.4375 MHz. The L1OF and L2OF signals are part of the standard service while the L1SF and L2SF signals are used by authorized users only. Glonass transmits this restricted signals in the open, not employing encryption like GPS does. Glonass #755 includes an L3-Band payload to begin the implementation of code division multiple access (CDMA) to allow easy and low-cost implementation of multi-standard GNSS receivers. The L3 signal is centered at 1,202.25MHz. 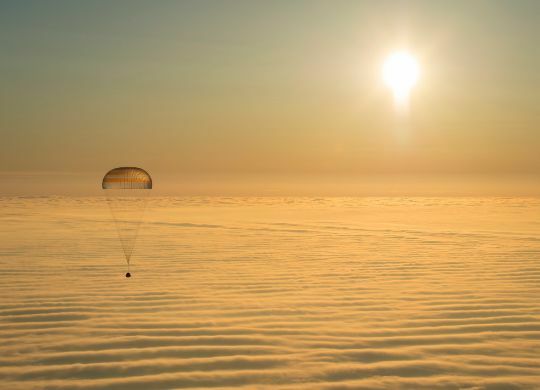 After arriving in its orbit, the spacecraft complete several weeks of commissioning and testing before entering regular service.